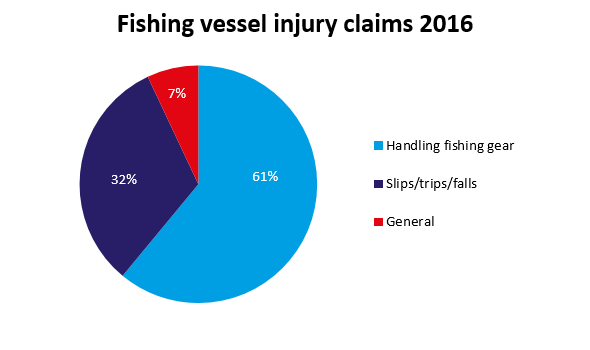 In 2016, the Club experienced a high volume of crew injury claims on fishing vessels. The latest in our series of Risk assessment articles focuses on risk assessments for fishing operations to assist members in mitigating such claims. Handling fishing gear – These include crew injury claims that arose from a lack of supervision of the task, non-adherence with safety practices and the non-usage of personal protective gear. Slips/trips/falls – These include incidents caused by slippery decks, trips on scattered equipment in work areas and falls (on board or overboard) during fishing operations. General injuries – These include crew injury claims which occurred during mooring operations, bumping into equipment such as crane hooks and exposure to ammonia. Analysis of these claim files show that many of the personal injury incidents may have been avoided had an appropriate risk assessment been conducted to identify and neutralise the potential hazards. In this sample Risk assessment form for fishing operations, we highlight various potential hazards and offer possible control measures. We would like to emphasise that this is for guidance purposes only and it is imperative that operators conduct their own risk assessments based on their individual operating parameters. 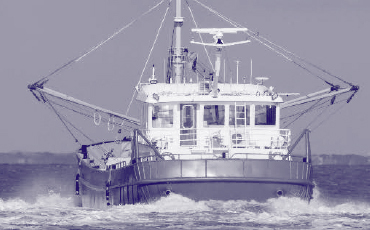 In addition to this guidance, we would like to take this opportunity to remind Members of the Club’s booklet on Fishing vessel Safety, case studies such as Abandoned fishing vessel with subsequent loss of life and Carbon Monoxide poisoning on fishing vessels and poster on Refrigeration on fishing vessels. We trust Members find this guidance useful and if further assistance is required please contact the Loss Prevention Team. This article was written in conjunction with the Technical and Risk team at CTRL Marine Solutions Ltd. CTRL’s knowledgeable and experienced staff can work with your in-house teams to audit and assist with new or existing risk assessments on favourable rates and flexible terms.